We stand up to protect consumers against predatory lending models and products. For example, despite significant gains in the past decade — won in-part thanks to efforts by this Coalition — payday loans continue to strip close to $50 million from Coloradans each year. The average borrower pays $119 in fees to borrow $392. 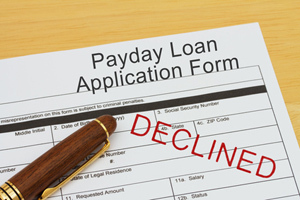 Payday loan servicers disproportionately target people of color and service members. They trap many families in cycles of debt, undermining their potential to build self-sufficiency. Colorado consumers are also at risk of predatory business models from larger installment loans, student loans, auto loans, and home loans. Our efforts help insure fair access to wealth-building credit and loans for all Coloradans.